For over 40 years MTX founder Loyd Ivey has been pushing the envelope on sound quality and speaker design. 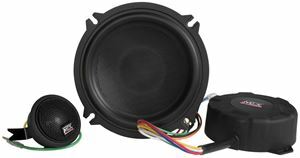 The Signature Series is the best sounding speaker MTX has ever produced. So much so Loyd even put his signature on them. Incredible Sound - Deliver precise sound reproduction and exceptional imaging. 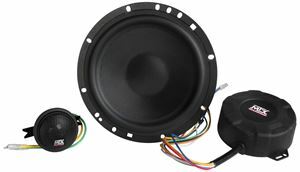 High End Precision - Glass fiber cone, cast aluminum basket, and Teteron tweeter are perfect for use in SQ systems. Compact Crossover - Small form factor can be mounted anywhere and is prewired for easy connection.